Teen-aged drivers tend to have a higher accident rate than other age groups. It's partly because, well, they're teenagers, but lack of time behind the wheel is also a big factor. Lots of situations come up that are hard to handle if you've never encountered them before. That's why Google is feeling kind of confident about its autonomous cars, which this month will hit their 2 millionth mile on public streets. That's a lot of time on the road, if not literally behind the wheel. In fact, it's the equivalent of 300 years of human driving experience and the company says it is now emphasizing "advanced driving skills," like responding to everything from crossing guards to emergency vehicles to construction zones. 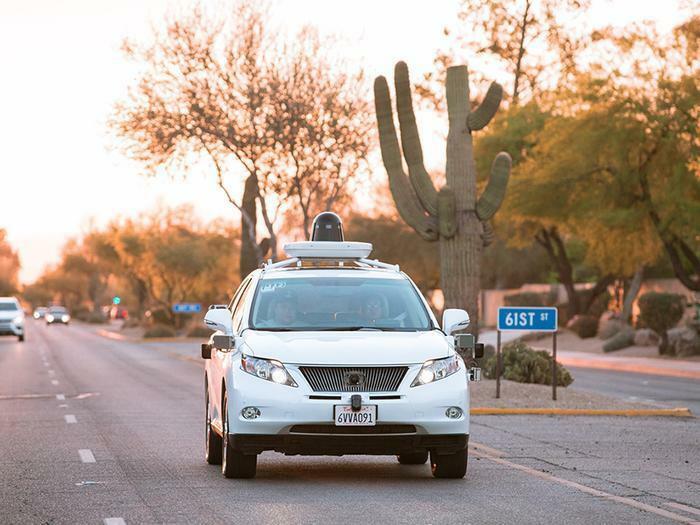 In a blog post, Dmitri Dolgov, who leads the self-driving program at Google, says the algorithms that make things go are now better able to predict "the trajectory, speed and intention of other roads users" and readier to handle unexpected situations like a car going the wrong way. Dolgov says you might say the Google cars are now learning the social side of driving. "Ultimately, being a good driver is about understanding other people — pedestrians, bikers and fellow drivers. Over the last year, we’ve learned that being a good driver is more than just knowing how to safely navigate around people, but also knowing how to interact with them," Dolgov wrote. One question that is starting to preoccupy automakers as well as safety advocates is what self-driving cars should do in an emergency. The latest to raise the issue was Bill Ford, executive chairman of Ford Motor Company, which is working to develop a fully autonomous car within five years. In a recent speech to the Economic Club of Washington, Ford called for "a national discussion on ethics" to examine the choices autonomous cars will face in the real world. What if, for example, a self-driving car is forced to decide between hitting a stalled truck in the roadway or plowing into a crosswalk filled with pedestrians? Should the car sacrifice its passengers by hitting the truck or should it save them at the expense of the pedestrians? Ford didn't presume to have the answer but said that it's essential that all driverless cars use the same algorithm for responding to emergencies, so that split-second responses can be as coordinated as possible.